When it comes to energy efficient home design, we all want the same thing; a home that uses as little energy as possible while retaining as much heat as possible. Surely that’s a given and it doesn't even sound that difficult to achieve. And in theory it’s quite straight forward, but we all know that theory and real world tend to be quite different. The number of people involved in the construction or refurbishment of a home is immense and with each person comes the risk that your goal will get diluted slightly. So by the time it’s built or renovated and there have been dozens of different people involved (each with their own take on how it should be done) it’s really easy to end up quite far away from your initial goal. 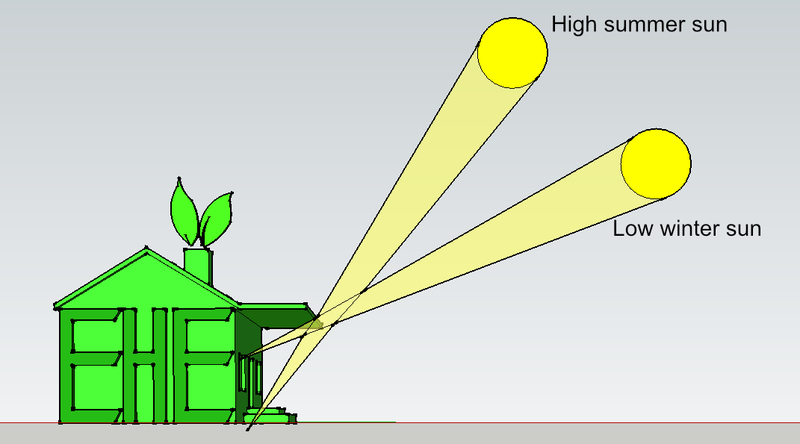 So, as you can imagine, achieving an energy efficient home design at the concept/design stage is essential. Meaning there are a few things you’ll need to think about if you want to get it right and reduce the chances of issues cropping up during the project. There are others if you want to keep going such as on site energy generation etc. but we’re going to look at the big 3 here. You’ll need to think about each of the three aspects above and how the relate to and affect other aspects of the build/renovation. So as you look into each you’ll discover how they have a knock on impact on other aspects of the build. For example your insulation will have an effect on virtually everything in your home from the air quality, size of your boiler, cooling issues, ventilation, window choice etc. If you want your home to retain as much heat as possible it stands to reason that you’ll want to choose the right insulation and have it fitted correctly. But choosing the right insulation isn’t just a matter of picking one and going for it. 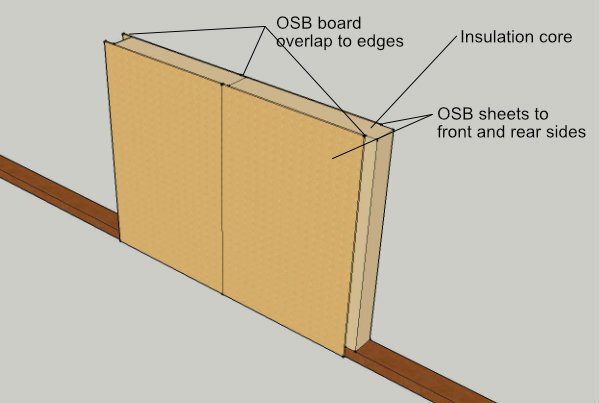 If you’re using a light weight construction method such and structural insulated panels (SIPs) or timber frame etc you’ll likely choose a different type of insulation to someone who has an existing home that they are renovating and want to add insulation to the cavities. 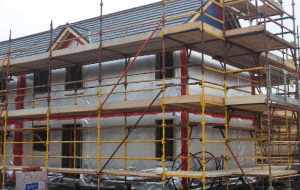 Plus, no matter what type of construction method you choose there’s no one right insulation material. You’ll face a choice of at least several types and it will be up to you and your Architect to pick the best one for your project. Here’s a link to my insulation section which should help prepare you for your journey. By adding high quality insulation to your home you’ll make it more air tight (you’ll be aiming to make it as air tight as possible in order to retain as much heat as possible). But that in itself can lead to condensation and black mould issues unless you incorporate the correct ventilation system. A good ventilation system will allow you remove the stale moist air that builds up in your home from showering, cooking, drying cloths etc. without losing the heat. Your choice of ventilation will come down to a combination of budget, and whether or not it will be feasible to install a full mechanical ventilation and heat recovery (MVHR) system or not. Whether you’re building your house from scratch or refurbishing an existing property as part of you energy efficient home design you’re also going to need to consider heating and cooling (yes, I’m in the UK and I did say cooling). The heating side is something we’re all used to thinking about, but once your home is super insulated and properly ventilated it won’t need as much heat in order to maintain a comfortable temperature. So you’ll be able to use less gas, oil or electricity etc. depending on what you choose to heat your home with. (Your Architect will be able to calculate the heat load for your home in order to size your boiler etc). The bit we’re less used to considering here in the UK is the cooling aspect, but it’s essential that you think this through carefully. In the winter you’ll not have any cooling issues but in the summer your super insulated home runs the risk of the sun shining directly on the windows and heating your rooms up to above a comfortable level. So now we’re starting to see how each aspect of your project can impact on something else. If you have a lot of large south facing windows they’ll do a great job of heating your home in the winter but the same effect could potentially cause it to over-heat in the summer. One way of avoiding this is to fit shades over your windows that allow the low sun in the winter to heat the rooms. Then in the summer when the sun is high in the sky the shades stop it from shining into the rooms keeping them cooler. Don’t panic, you’re Architect will be well aware of all this and more, but it’s important that you have a grasp of it as well. That way you’ll be more comfortable interacting with your Architect during the design phase when he/she is trying to get into your head to design what you really want. It’s all too easy to say the design phase is down to your Architect and let him/her just get on with it. But that’s not always the best way of achieving YOUR perfect energy efficient home design. It’s true that very few of us have the design flair or knowledge of an Architect, but coming up with the design of your new Eco-home isn’t just about the aesthetics. It’s you that’s going to be living in the house for many years to come, so get involved, work with your Architect and don’t be afraid of making suggestions. 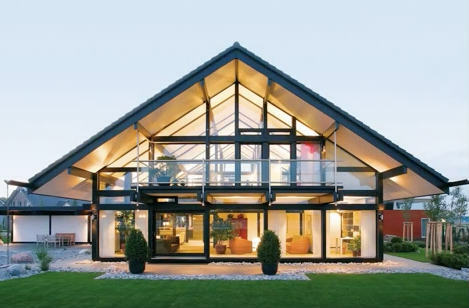 Then your Architect will have more information with which to make suggestions to you regarding the materials and technologies which could be used within the build/refurbishment. Photovoltaic panels or wind turbine to generate electricity depending on site suitability. Cat 6 cabling and smart home controls. 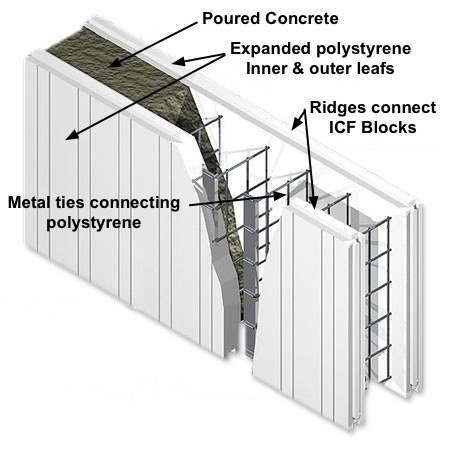 Cost effective build technique such as ICF or SIP construction etc. Locally sourced materials and recycled materials where possible. Next, list the things you don’t like, or that don’t work very well about your existing home. I don’t want to be facing the main window when watching TV. Will the sun reflect on the TV screen? I like a lot of natural light in the kitchen. I need more storage in the bathrooms. Will there be enough sockets behind the TV for future gadgets? Once you get initial drawings, place (to scale) cutouts of your furniture in each room and visualise where lighting, sockets etc. will need to go. The more you can get right now the less chance there’ll be that you’ll change things during construction. Changing things during the construction phase WILL cost you more money and time. Once you’ve given these priorities to your Architect it’ll be up to them to work out the less glamorous bits of your energy efficient home design such as foundations, floor slabs and all the other detail work. 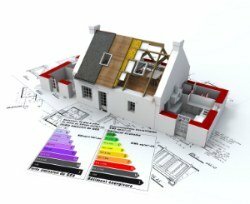 Energy efficient home design isn’t as complicated as you may think. Provided you do enough research at, and even prior to, the design phase you should be good. The secret is to get EVERYTHING thought out in detail before construction starts. If you can cover the basics like insulation, ventilation, heating and cooling they’ll lead you naturally down through all the associated areas. If you manage to do this your build should be fairly straightforward. Home Page. › Eco-Homes. 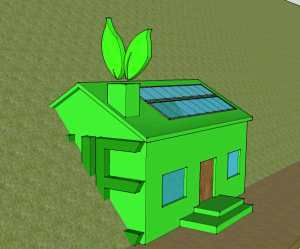 › Energy Efficient Home Design.